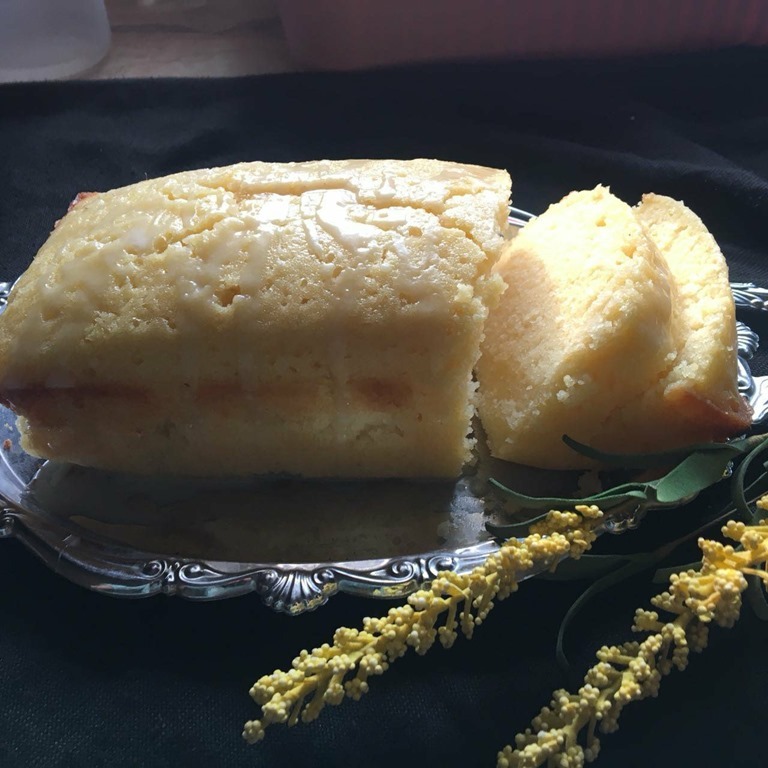 This lemon cake is very light in texture and the taste of freshly squeezed lemons give it heavenly taste. 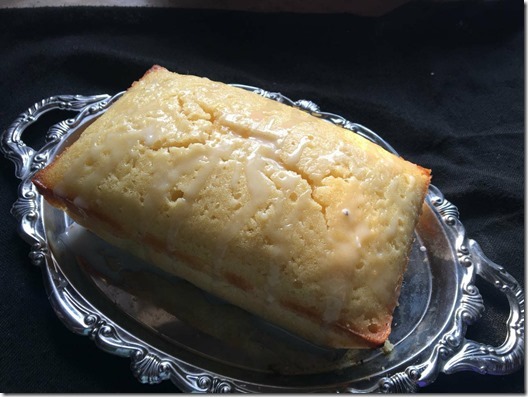 You can serve this with whipped cream or you can drizzle it with a lemon glaze like I did. This cake tastes very much like Starbucks lemon cake. You can bake this cake in Bundt pan or in a loaf pan. Every single bite of this cake is full of yummy and tangy lemon flavor. Take all ingredients at room temperature. Grind the sugar to a powder and set aside. Sift the flour twice with the salt and baking powder. Grease and line a pan and set aside. Preheat oven to 170 C.
Beat the butter with the sugar until light and creamy. Then add the eggs one at a time, beating well after each addition. Now add the freshly squeezed lemon into the milk and stir. The milk will thicken slightly by adding the lemon, that’s ok.
Add a third of the flour and beat until combined, then add half the milk. Don’t panic if it looks curdled, it will be fine. Again beat the batter until milk is mixed in. Add another third of the flour, mix it in, and then add the remaining milk. Finally add the last of the flour, the zest, and the vanilla essence. Beat just until everything is well combined. Do NOT over-mix at this point, you can even finish up the mixing with a wooden spoon or spatula. The batter will be very light and fluffy. Pour into prepared pan. Bake for 25-30 minutes, or until a toothpick stuck in the center comes out clean. Remove from pan and let it cool completely before frosting/slicing. For a simple lemon glaze, take 1 cup icing sugar, add 1 tsp of lemon juice (freshly squeezed) and add them in, keep mixing until the glaze is of pourable consistency. You can add a few tbsp. of warm water as well for a less intense lemony flavor. Pour on the cake and allow to set. Yes, you can grow your own lemon tree! I”ve grown them from lemon seeds from lemons that I bought at the grocery store. But you have to be patient as they are rather slow to germinate and grow quite slowly afterward. But it”s really fun to nurture that little sprout into a real live lemon tree. Of course, the trend might be long gone before your lemon tree reaches “decor height! So, start a seed only if you are a patient person who doesn”t care much about what”s trending! 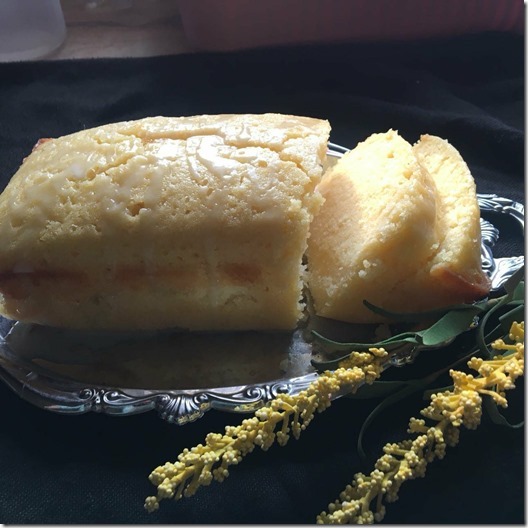 Hi, hope you don’t mind me mentioning it, but you can’t really call this cake a “pound cake”. A “pound cake” refers to a type of cake traditionally made with a pound of each of four ingredients: flour, butter, eggs, and sugar. So equal weights of only the four main ingredients.